We hope this newsletter is finding you well. 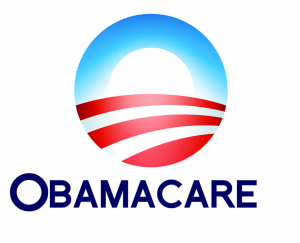 We just have a few updates regarding Obamacare that we wish to share with everyone. Please take a moment to read through the important information as it may pertain to you keeping your tax credit. With Obamacare Open Enrollment now closed the marketplace has begun to look more closely at all the applications with 2016 effective dates. Many of our clients have received letters in the mail from the Marketplace asking them to provide further information and tell them to call the 800-number to talk directly to the Obamacare Marketplace. If you receive a letter like this in the mail there's no need to worry, or to call the marketplace directly. Just give us a call and we can check online for any missing or required information. This will allow us to maintain control of your policy so that you don't have to go through the marketplace directly. If you call them our agency will be removed from your account and we will no longer have access to your information. In case you lost it our number is (248) 689-4910. Please don't hesitate to call us! We just wanted to take a moment to remind you of some of the other services we provide here at Plan IV. In addition to health insurance we can also help with dental, vision or long-term care insurance policies. We are also able to help with Life Insurance, retirement planning and many other financial planning services. Please,visit our website for more information about all the services we provide. You can also access our Safe Money Advisory Newsletter from the link below.